An astrological event which many people with their Moons in Virgo and Libra in Vedic astrology have been anticipating is happening on November 2. We will transition from having Saturn in Libra in Vedic astrology, or Jyotish, to Saturn in Scorpio. Saturn has been exalted in Libra since August, 2012. Many have experienced this as a very tumultuous period with a great deal of upheaval. Saturn in Scorpio brings in a new energy. 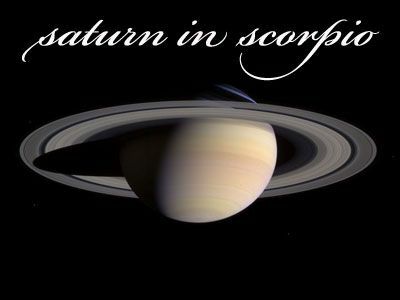 Saturn enters Scorpio on November 2, 2014 at 7:22 am Pacific time (this is calculated for the San Francisco Bay area). 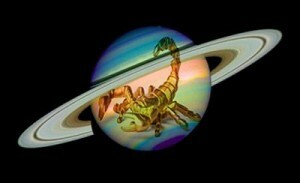 Saturn enters Scorpio at 8:52 pm in India on November 2. You can visit the time and date website to determine what time Saturn moves into Scorpio in your locality. Saturn is also moving at 3.5 x times its normal speed as it moves into Scorpio. This can be more problematic for those in a Saturn dasha/ bhukti. It also does not bode well for world matters and can lead to greater global conflict and accidents involving water (Sorcpio is a water sign) or land (as Saturn and Mars both represent earth). Saturn is the planet of solitude, strategies, simplicity, security, discipline, and fortitude. Being the slowest moving of the nine planets in Vedic astrology, it can create the greatest impact. That is why it is very important to pay attention to Shani gochara or Saturn transits, as Saturn in Scorpio lasts until October 26, 2017. Saturn is called Shani (phonetically shun-nee) in Hindi. It also represents that which we shun in our lives. So, a powerful lesson will be to make peace with the matters of the house that Scorpio represents in your chart, rather than to continually avoid them. Scorpio is known as Vrischik rashi in Hindi. Saturn leaves airy Libra and enters watery Scorpio. By doing so, Saturn moves from a sign owned by its friend Venus to one ruled by its nemesis, Mars. Saturn does not feel secure or safe in Mars’ home. Saturn has a strong need for security. Generally, whatever house Saturn is transiting in your chart, you will seek out methods to help make you feel secure about the matters related to that house. You will do so in ways indicated by your own personal astrological tendencies. Scorpio is the eighth sign of the natural zodiac (starting with Aries). It is intense, secretive, and transformative. Scorpio can be the most individualistic of all twelve zodiac signs. It enjoys making the rules, not following them. This goes against Saturn’s nature of wanting to securely know the given outcomes to situations. As the eighth house in the natural zodiac, Scorpio relates to chronic health issues, surgery, the pelvic region, reproductive organs, the bladder. tax audits, inheritance, partner’s money, scriptural studies, and research. This is not a comprehensive list. In Ayurveda, Saturn relates to mamsa dhatu or the muscular system, so that may be impacted. Ayurveda offers herbal oils and herbal supplements to support the muscles. What Saturn in Scorpio will bring relates to your own personal chart as well as your dasha/ bhukti. 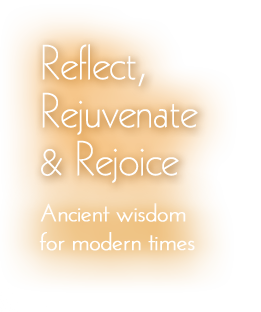 Those with their Moon in Virgo in Vedic astrology will see an end to their Sade Sati. People with their Moon in Libra will see the last third of their Sade Sati. Individuals with a Scorpio Moon ender the middle of their Sade Sati. And, those born with a Sagittarius Moon begin their Sade Sati. How your Sade Sati will impact you depends on a number of factors, including your ascendant, whether your Moon is closer to new or full, where your natal Saturn is, and what else is placed in Scorpio natally. If you have a Taurus, Leo, or Capricorn Moon, Saturn will be influencing it by its aspect. Please keep in mind that Jyotish uses the sidereal zodiac, versus the tropical zodiac used in Western astrology. Thus, your planets shift back approximately 24 degrees from their Western placements. The good news is that once Saturn leaves Libra and enters Scorpio, it will no longer be aspecting or influencing the exalted Jupiter in Cancer. Now, Jupiter will be influencing Saturn until July, 2015. Jupiter’s benefic gaze helps stabilize Saturn. And those with strong natal placements in Cancer or in a Jupiter dasha or bhukti should feel the heaviness of Saturn’s gaze lifted. Even though Saturn is changing signs, it still remains in Vishakha nakshatra until the end of November. Saturn in Vishakha nakshatra brings decisive power. Determination and focus are key terms associated with Vishakha. There is a relentless drive to achieve one’s goals, by whatever means necessary. 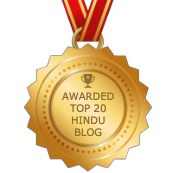 I have written more about Vishakha in a previous blog. Then Saturn enters Anuradha nakshatra at the end of November, 2014. Being slow moving, Saturn can teach us very valuable life lessons if we are willing to listen. It can make us stronger by facing up to challenges and help us set priorities in our life. Contrary to popular belief, Saturn is there to help us break free of our patterns and conditioning, rather than punish us. It is a matter of perspective; we often lack the objectivity to step back and look at the events of our lives in a semi-detached manner. That is why people often seek out astrologers to help them put a blurry picture in focus. If you would like a puja done for your Sade Sati ,Saturn dasha, or this Saturn transit, please contact Vedamurti Vivekshastri Godbole of Shri Krishna Yajurveda Pathashala in Maharashtra, India. Send an email to sohamvg@gmail.com and further information will be sent to you. Please follow my Facebook page for details on a Saturn webinar which I plan to host, so that we can delve deeper into Saturn in Scorpio. I will also be doing a free talk on Vedic astrology for 2015 on January 3, 2015 at East West Bookstore in Mountain View, CA. I would love to get a reading for the Saturn transit that has just started. Thank you so much! blessings!